Free Resources for Kids & K9s! "Like" us on Facebook for updates, training tips and contests! Life Lessons Graduates: Write a Review on Google + for a free social class! Since 1992, Puppy Power has gone beyond basic obedience training to help people fully understand their dogs, build a trusting relationship with them, and maintain consistent rules in order to get reliable, desired behaviours using scientifically-proven positive reinforcement-based methods. 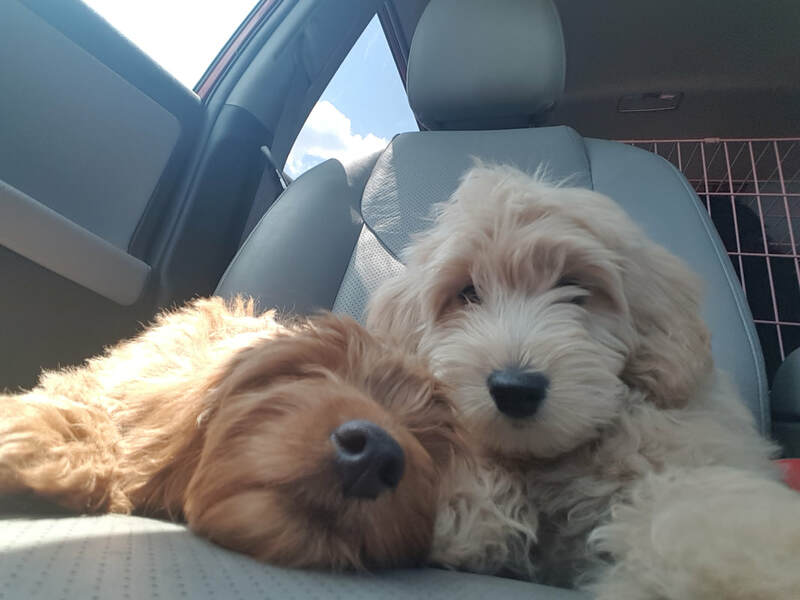 Over the past year, Puppy Power has expanded to offer the Puppy Imprinting Program as well as the Family Dog Training Program to families in Kitchener, Waterloo, Cambridge and Elora. AND since we loved the results of the Family Dog Training Program SO much, some of the elements have been integrated into the Life Lessons group classes so that EVERY kid gets to play games to strengthen their bond and communication with their puppy! 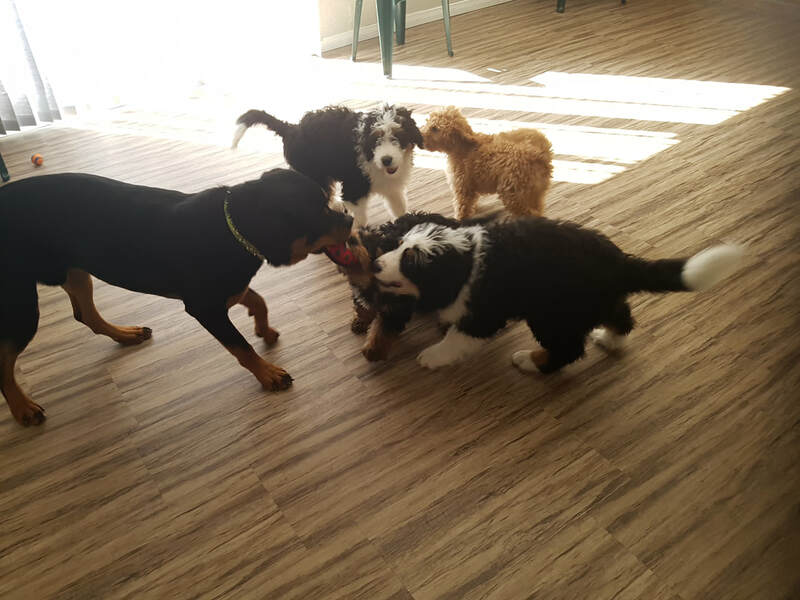 a first-time dog owner looking to start your new puppy off on the right foot with puppy classes and socialization? a parent looking for help integrating a dog into your home and getting the kids on board in your own environment with weekly in-home private training for your family? having difficulty with some behavioural problems and seeking ﻿some one-on-one training﻿? looking for a structured environment to work on fear or aggression rehabilitation? a busy pup-parent-to-be seeking a dog trainer to take care of those critical first few months of socialization & training for you with a train & board program? Puppy Power is committed to demonstrating the benefits of positive reinforcement based dog training to create confident, well-behaved dogs and confident, happy owners. By replacing the old dominance style relationship with that of benevolent leadership (control everything the dog values and make the dog earn it with desired behaviors), you can feel good knowing you can get the results you want without ever scaring or hurting your dog. As a result, the bond formed between dogs and their owners is strengthened and the incidence of fear/aggression is drastically reduced. From puppy classes to behavioural modification and more, Puppy Power can help you and your dog in a way that is easy to understand and best of all - it's fun for everyone! As of ﻿﻿﻿﻿September 1st, 2015﻿﻿﻿﻿, Puppy Power is under new ownership. Having taught over 400 professional dog trainers in nine countries, ﻿Samantha DeJong, B.Sc, CTB.ccs, IPDTA-CDT﻿ is one of the best. In order to run a quality dog training facility, among other skills one must have a great rapport with both dogs and their guardians, be a good dog trainer and teacher. They must be knowledgeable and experienced, flexible and creative. Samantha has all of these qualities and more. Samantha loves dogs and cares about people. She’s smart, talented and compassionate and is loved by all the dogs and their guardians as well as her peers. She’s qualified and experienced in basic, intermediate and advanced training, behaviour and aggression therapy, socialization and reactive dog classes. She will continue to use proven - positive reinforcement methods to protect your dog’s emotional well-being and temperament. I’ve spent the past 23 years earning your trust and it’s important to me that you and your dogs are left in capable and compassionate hands after I leave. I am proud to pass Puppy Power into Samantha’s care and know without a doubt that she will continue to run a quality business that focuses on making the world a better place for dogs and those who love them.